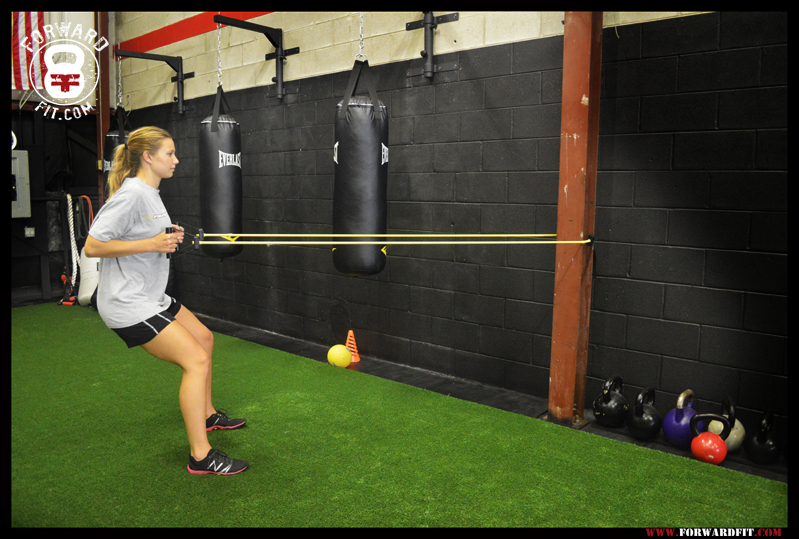 Looking for something to do in between ForwardFit classes? 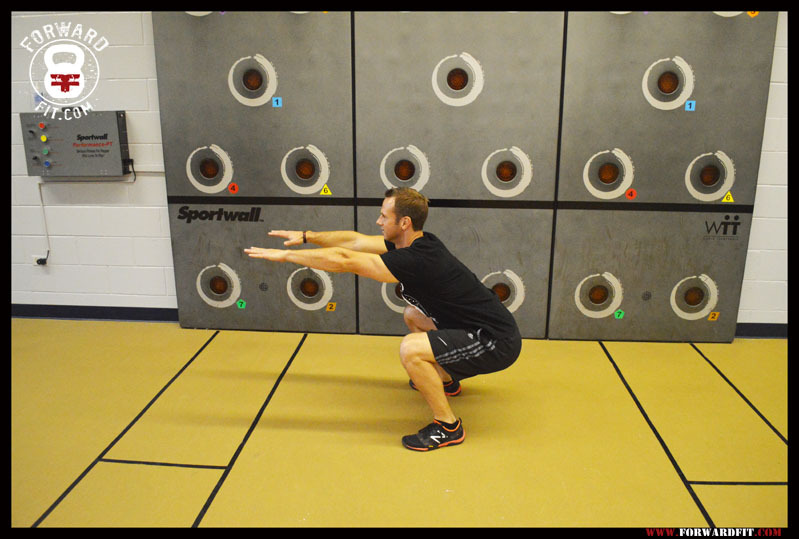 Challenge yourself to some of these exercises! 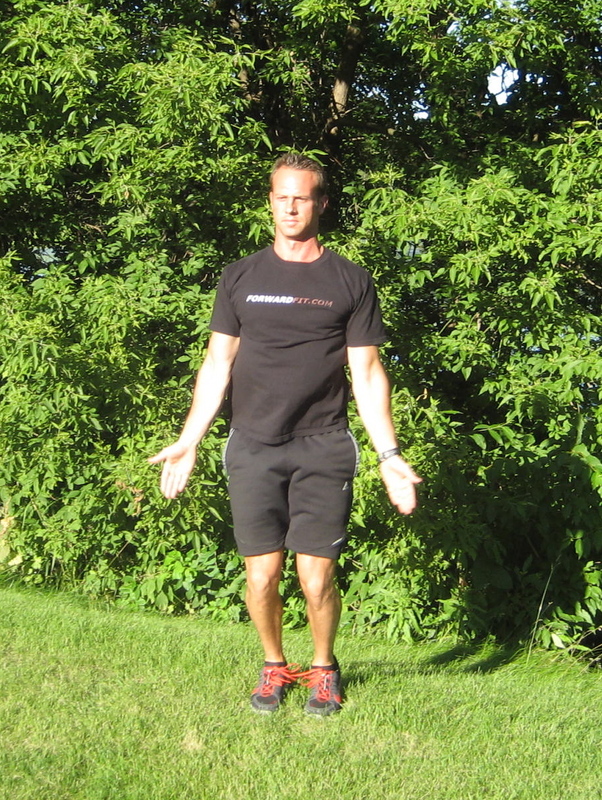 Starting in a quadruped position, raise your right arm and left leg. 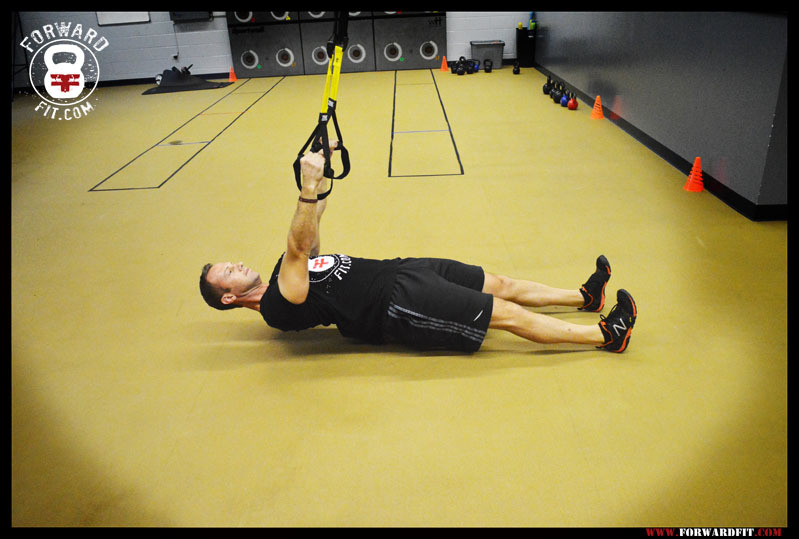 Brace your abs and hold for the desired amount of time. 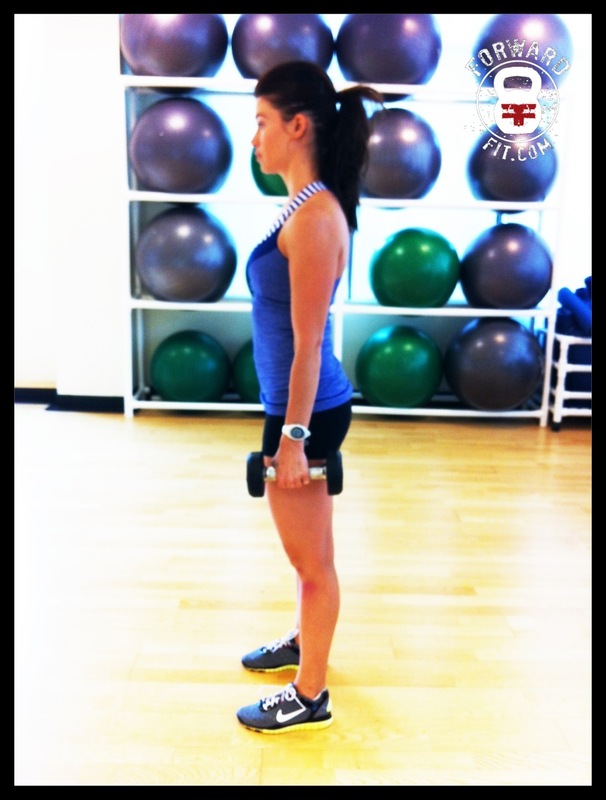 Begin standing wider than shoulder-width apart. 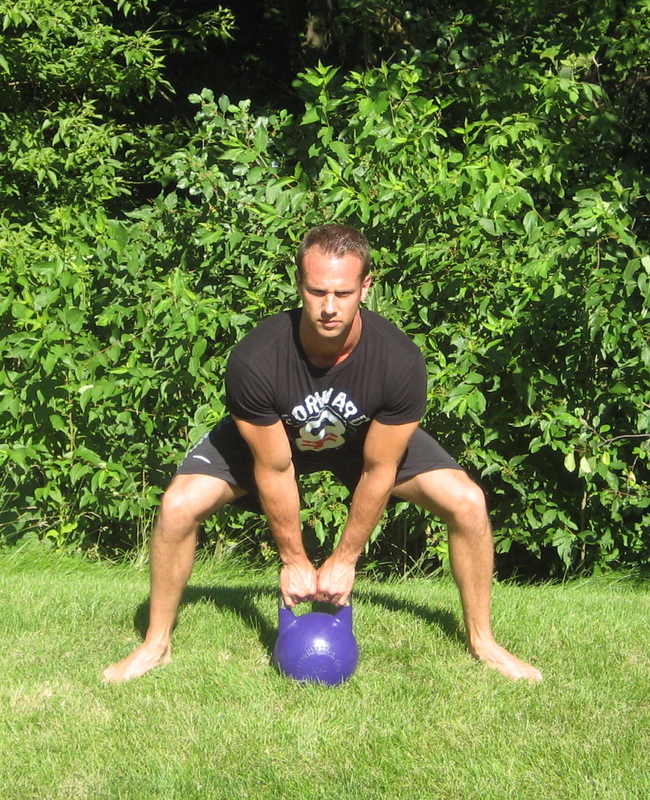 With your hips back, bend at the waist and grab the kettlebell with both hands and stand up, squeezing your glutes at the top of the movement. Reverse the movement slowly to the original position. 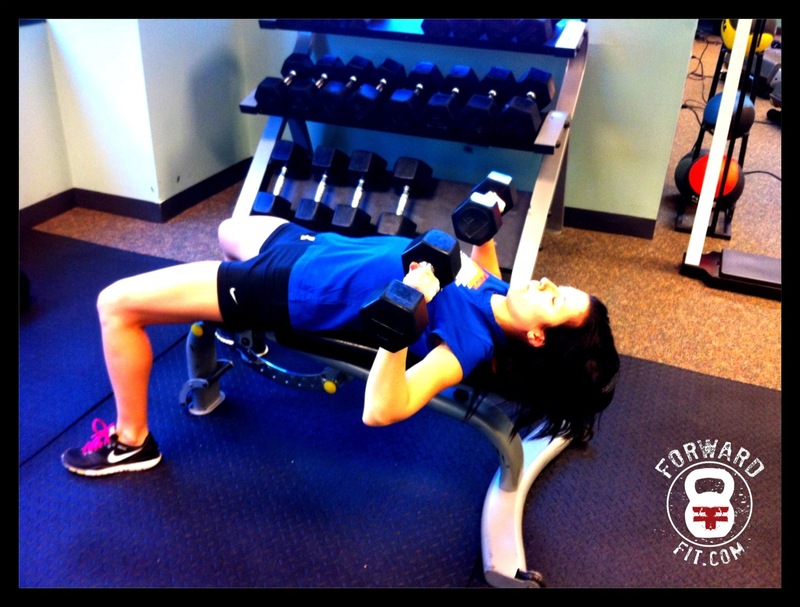 Lie faceup on the bench while holding both dumbbells above your shoulders, keeping your arms straight. 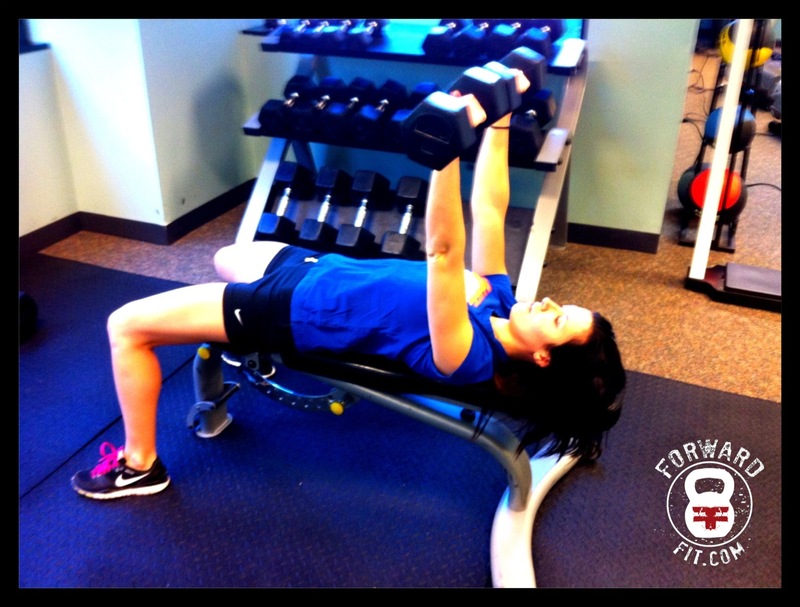 Lower the dumbbell to your chest then press the weight back to the starting position. 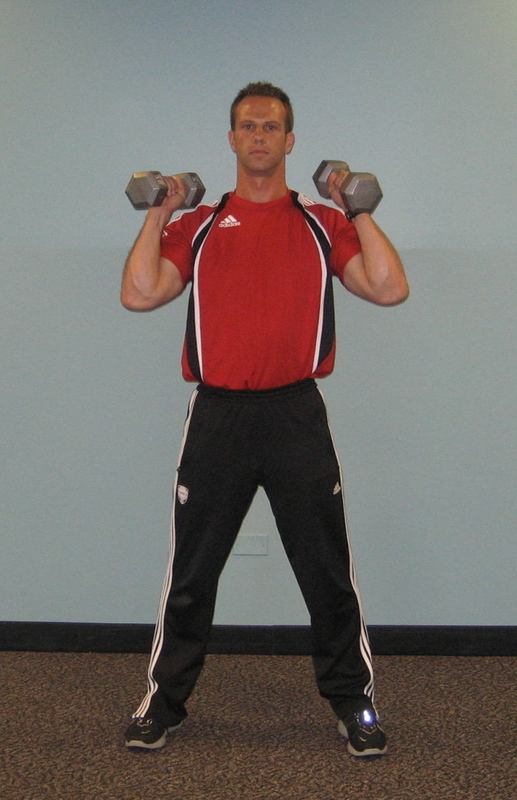 Hold a pair of dumbbells at arms length with palms facing each other. 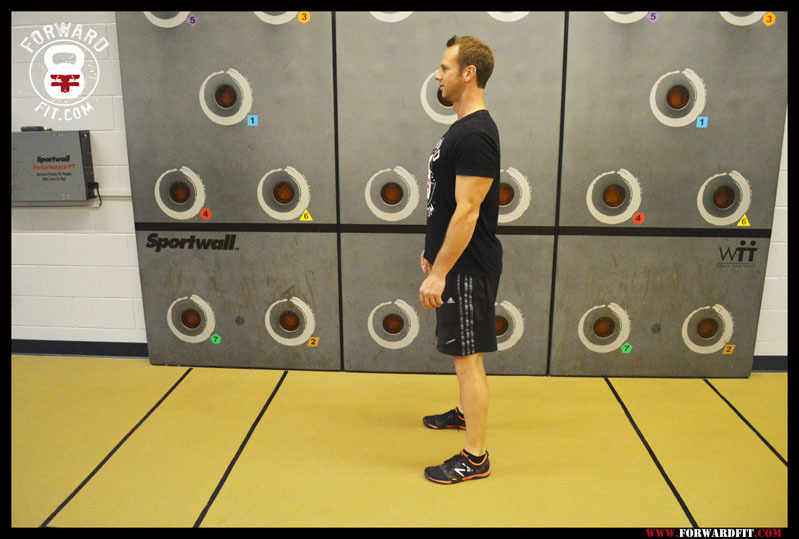 Shrug your shoulders as high as you can holding for 2 to 3 seconds. 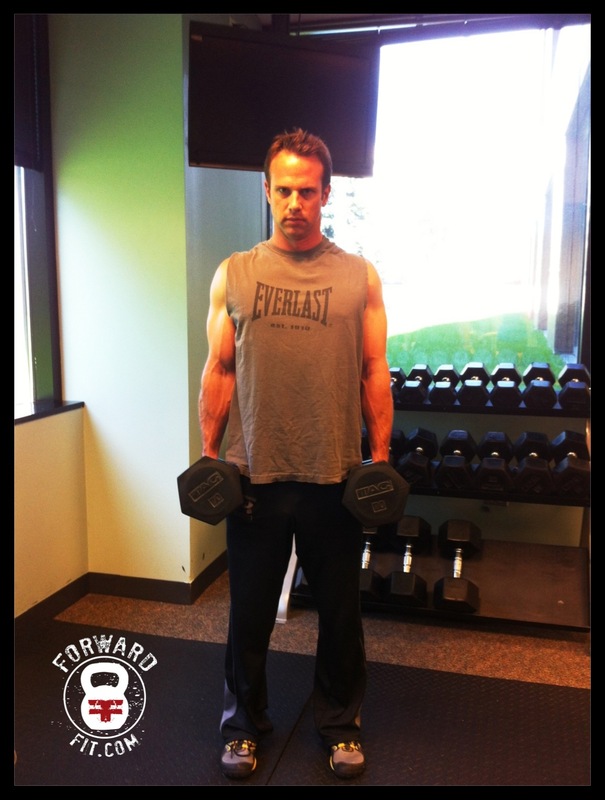 Grab the handle with your right hand while standing next to the weight stack to your left. 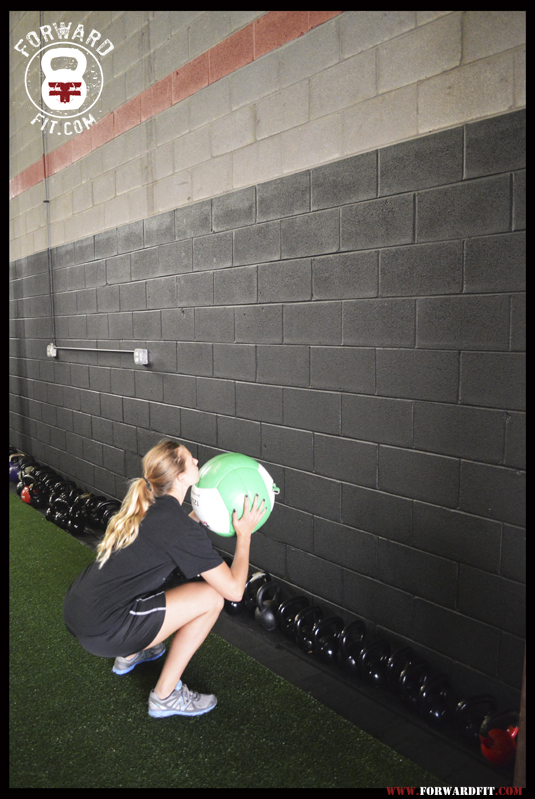 Bend your elbow 90 degrees with your elbow perpendicular to the floor. 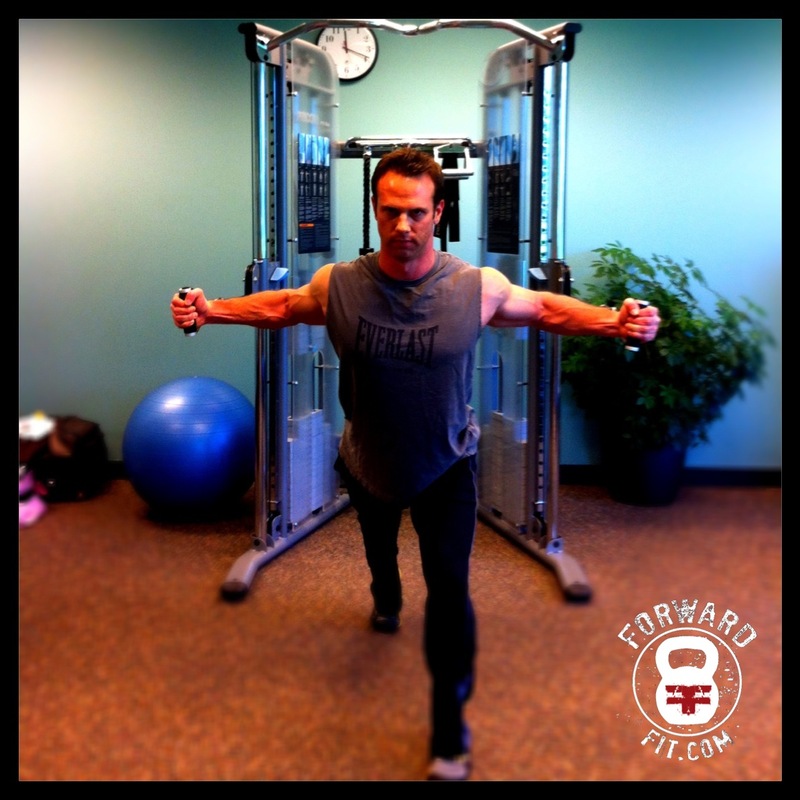 Rotate your forearm outward keeping your upper arm close to your body. Hold for two seconds then return slowly to the starting position. Lie faceup with your knees bent and toes pointed up. 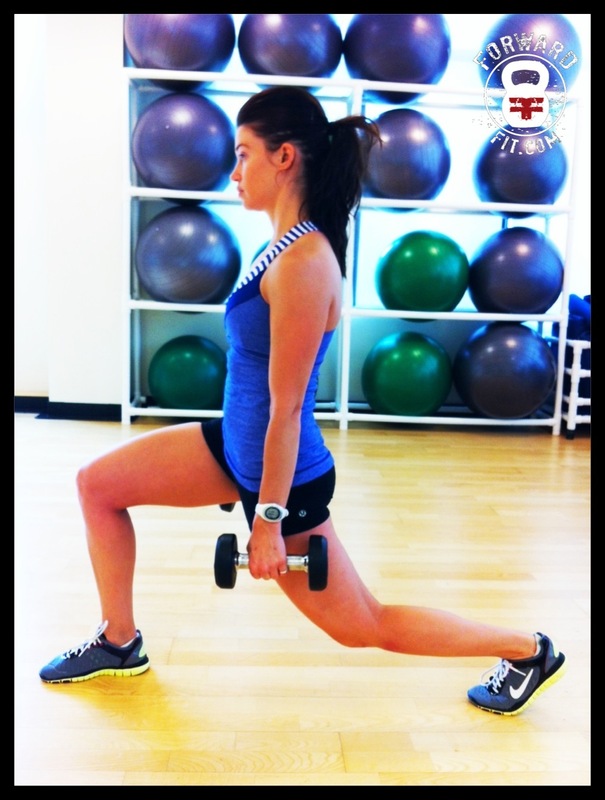 Lift your hips so you preform a straight line from your knees to your shoulders. 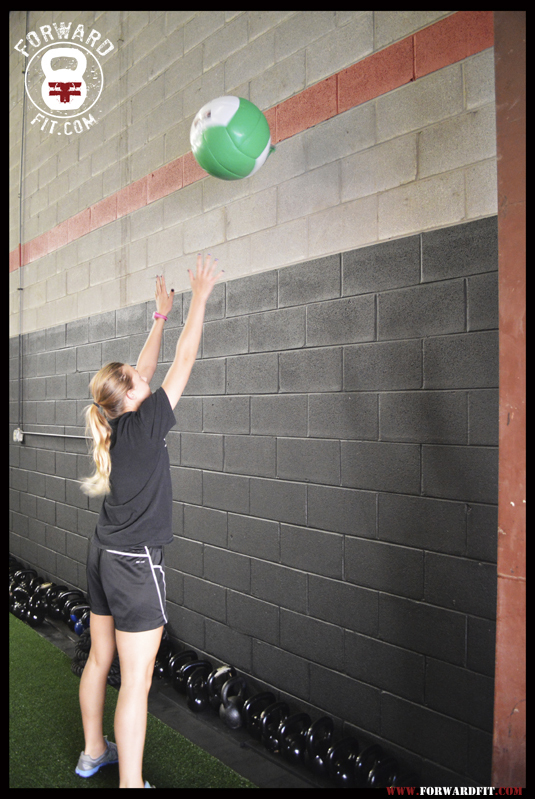 Hold at the top for 2 seconds then lower to the starting position. 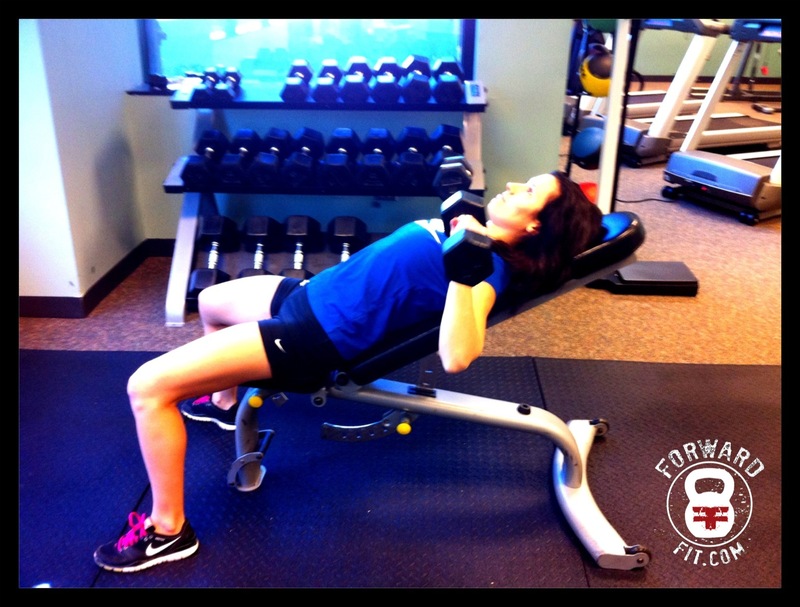 Lie face up on the bench while holding both dumbbells above your shoulders keeping your arms straight. 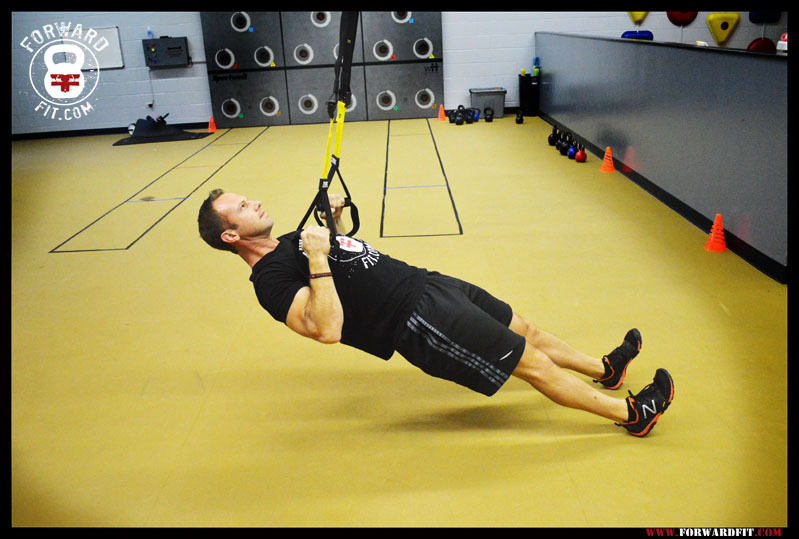 Hang with your arms straight gripping the handles of the TRX with an overhand grip. 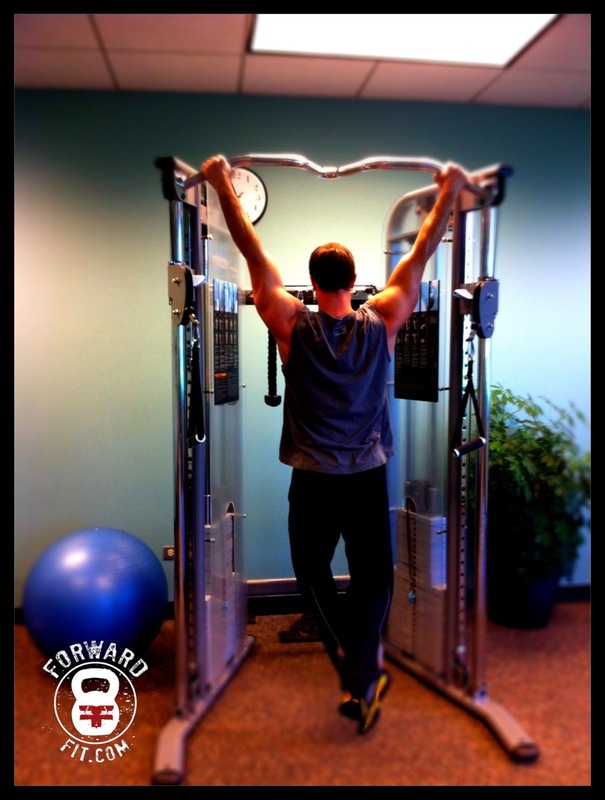 Start by pulling your shoulder blades back pulling your body up, lifting your chest to the handles. 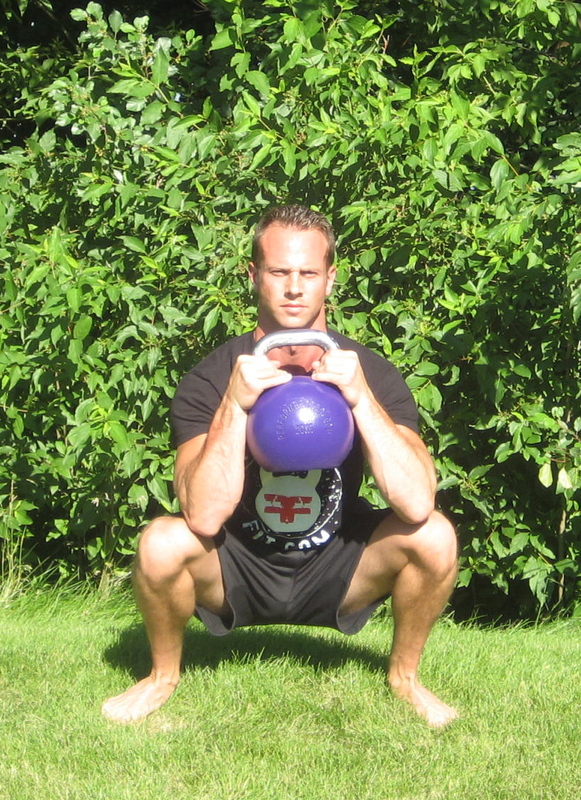 Begin the Goblet squat with both hands holding the horns of the kettlebell. 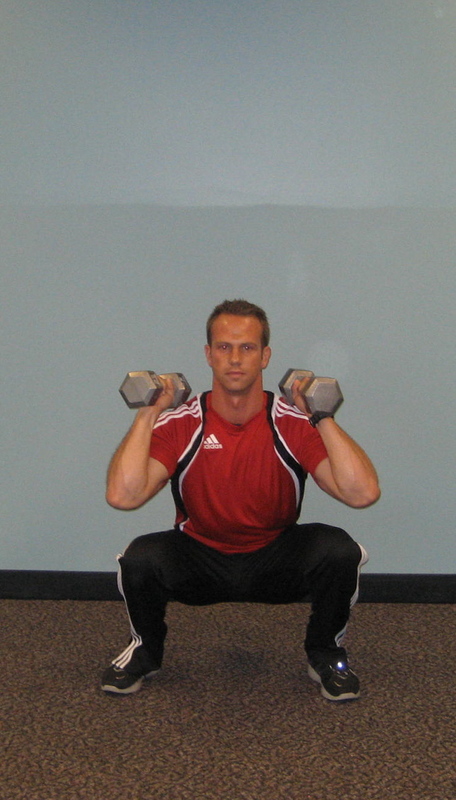 Lower into the squat position while sitting back on your heels and keeping your back erect. 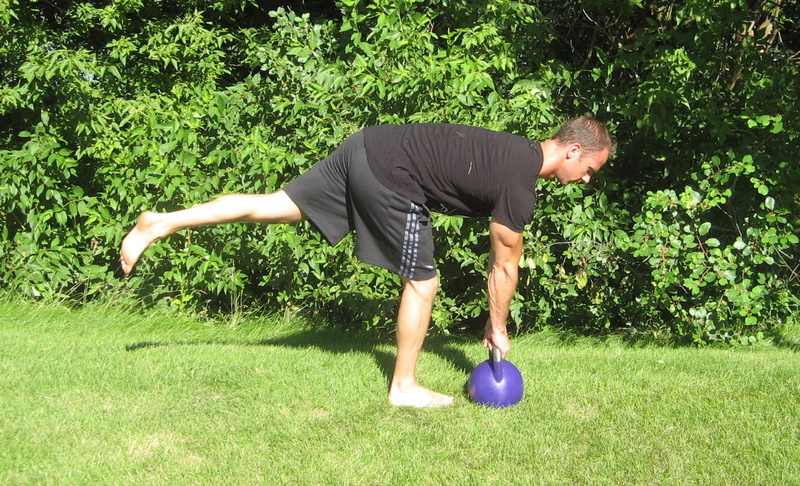 Press through your feet, stand up straightening your knees and hips. 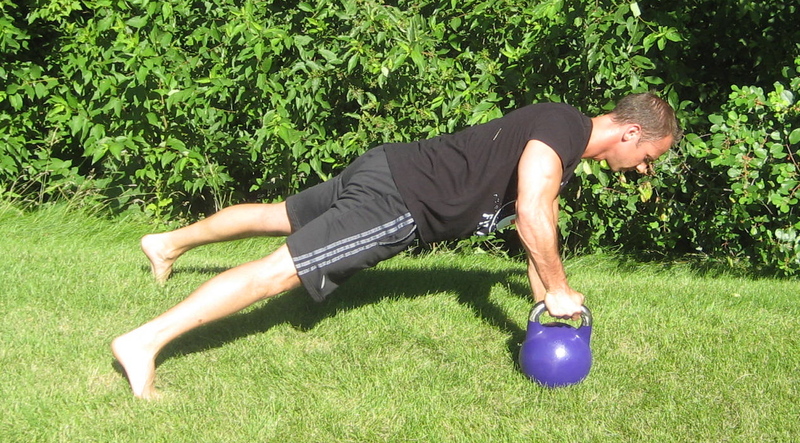 Start in a push-up position with one arm holding the kettlebell. 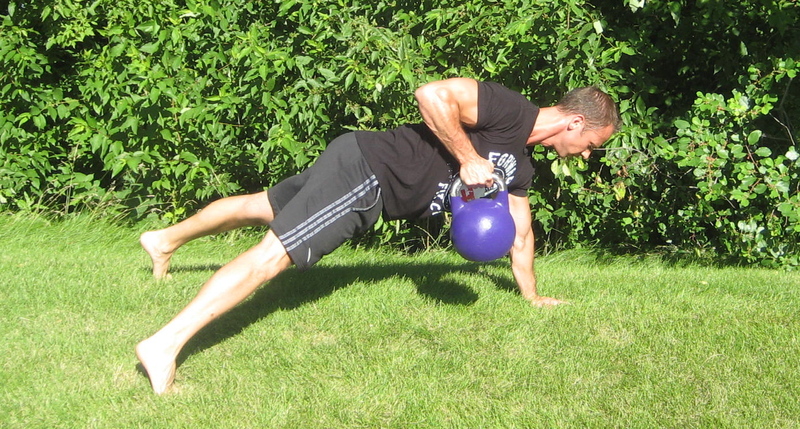 Perform one push-up then row the kettlebell at the top of the movement. 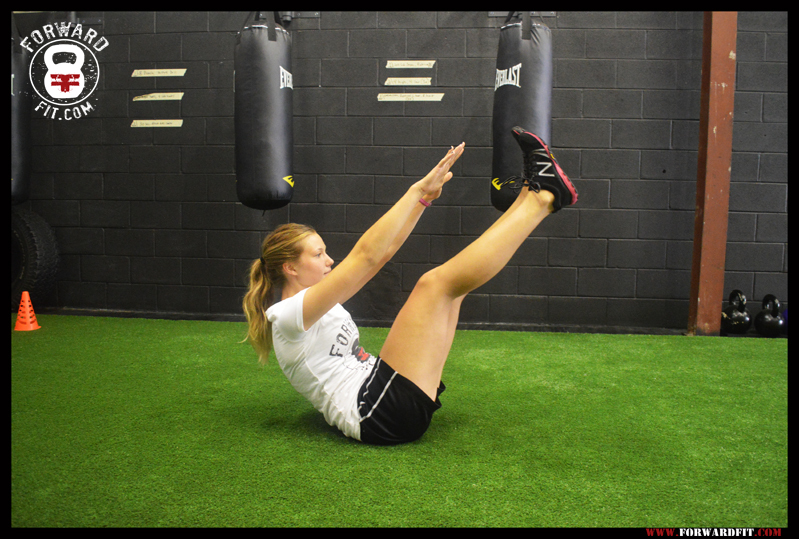 Keep your abs tight and don’t allow rotation in your hips and torso. 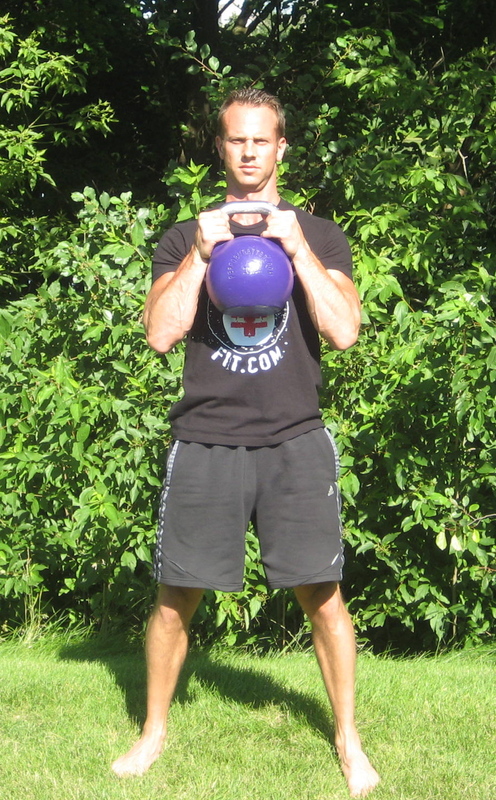 Begin by cleaning the kettlebell to the racked position. 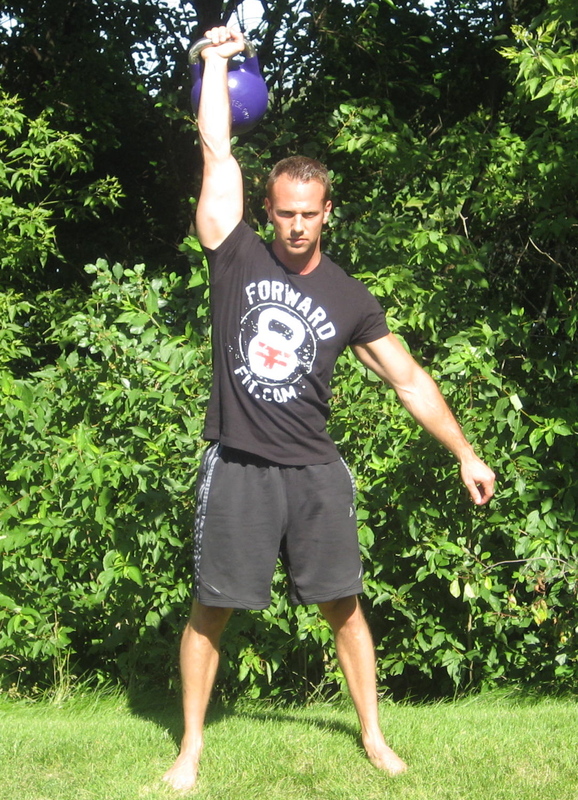 Drive the kettlebell overhead straightening your arm, locking your elbow at the top of the movement. Return safely to the racked position and repeat. 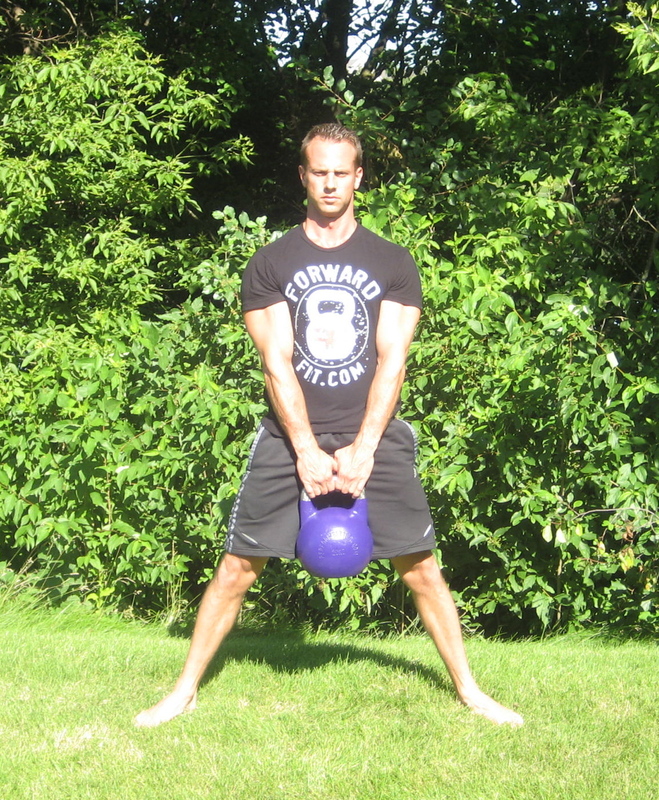 Swing the kettlebell back through your legs. 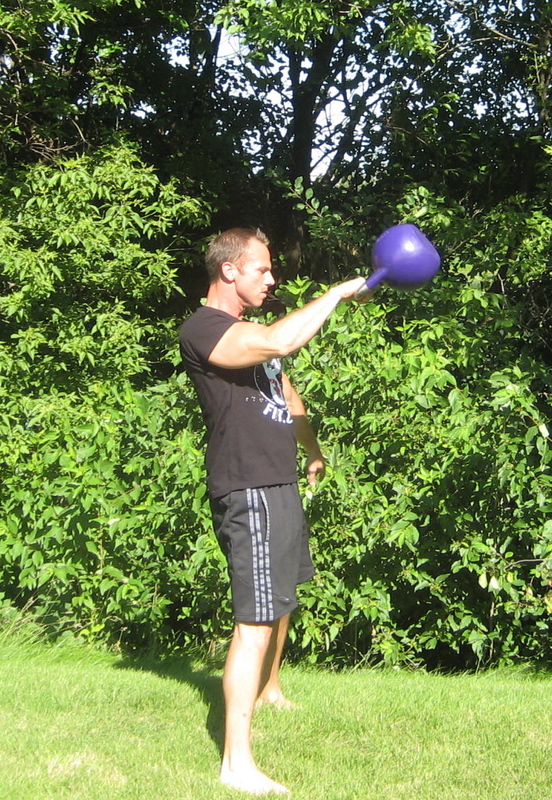 As the kettlebell travels up to shoulder height, punch the kettlebell up to the sky. 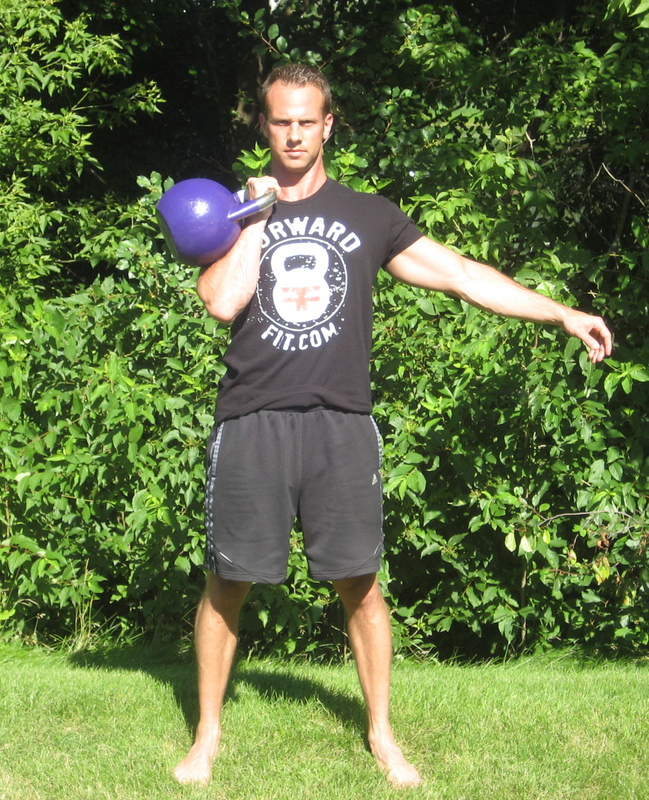 Move the arm around the kettlebell not the bell around your arm. 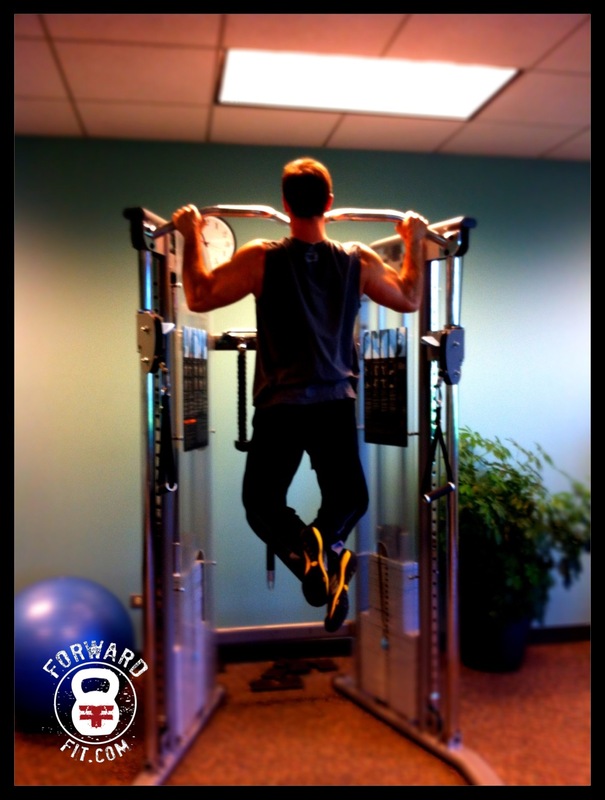 Jump up or stand on a bench and grab the pullup bar with an overhand grip. 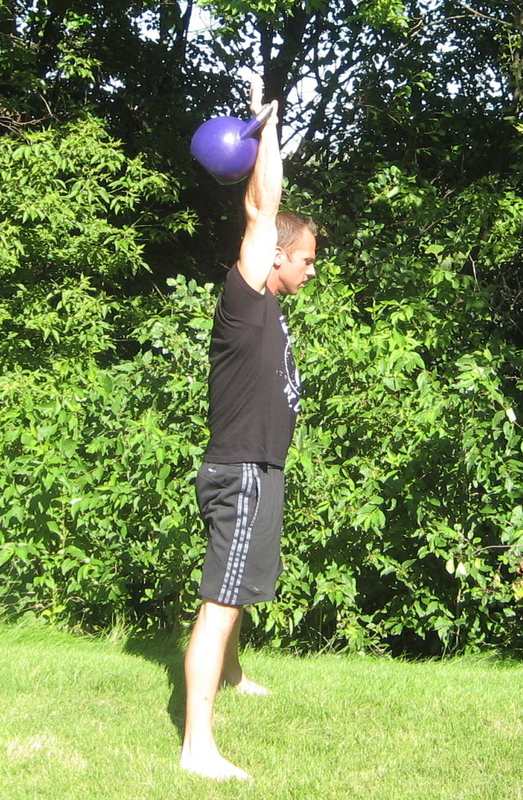 Perform a pullup by bringing your chest to the bar. 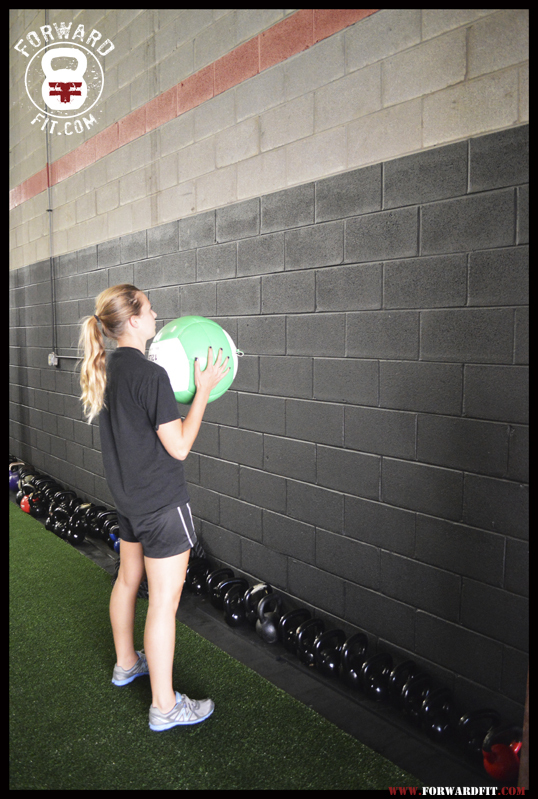 Once your chest touches the bar, pause and begin lowering yourself slowly to the starting hanging position and repeat for the required number of repetitions. Lie on your side with your knees straight. 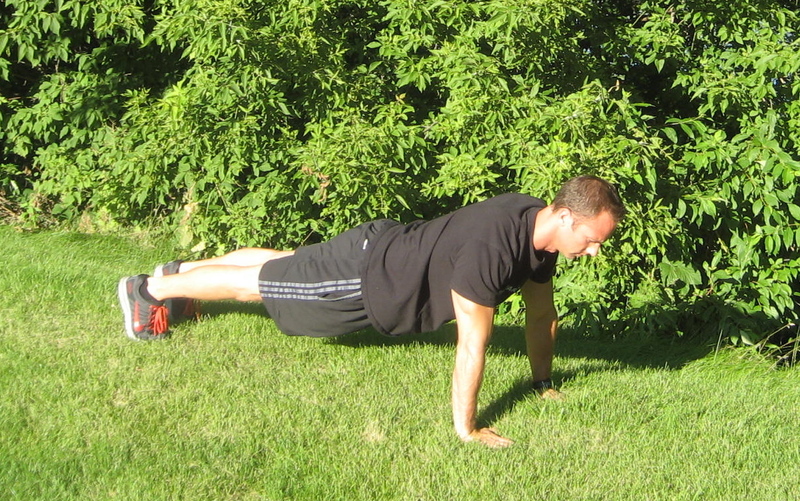 Push yourself up with your elbow and forearm, keeping your hips forward while maintaining a straight line. 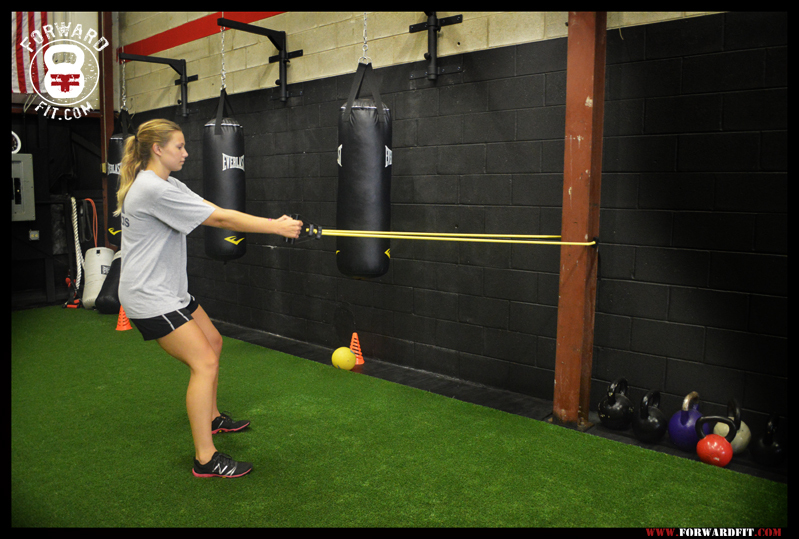 Brace your abs and hold for the designated time. Hips are forward and you are balanced. 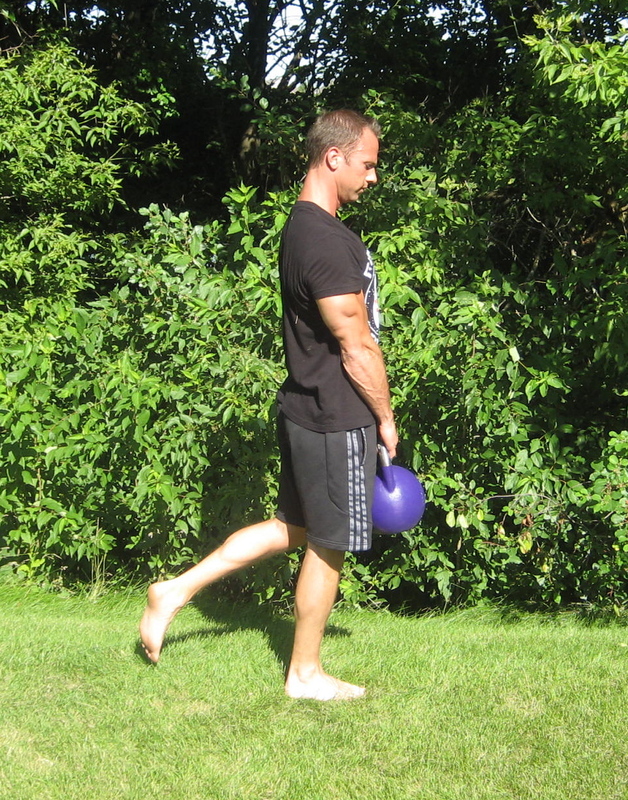 Bring feet hip distance. Bend the knees at a 90 degree angle. 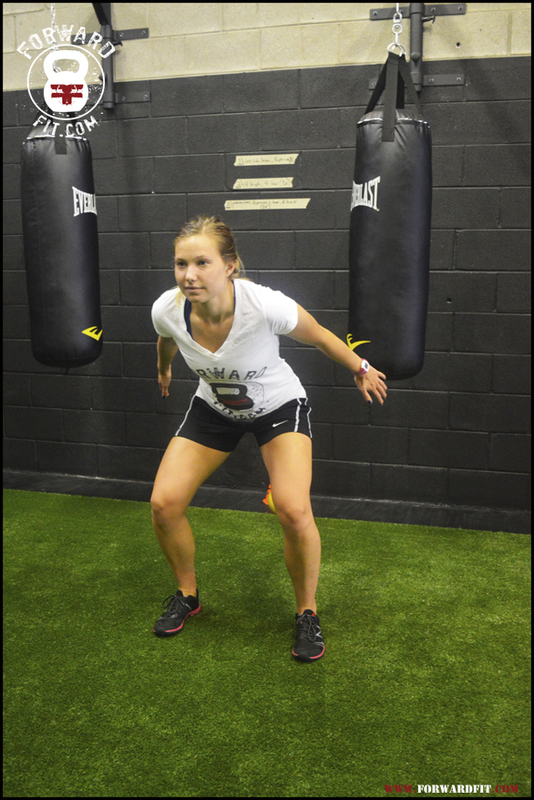 Knees stay behind the toes. 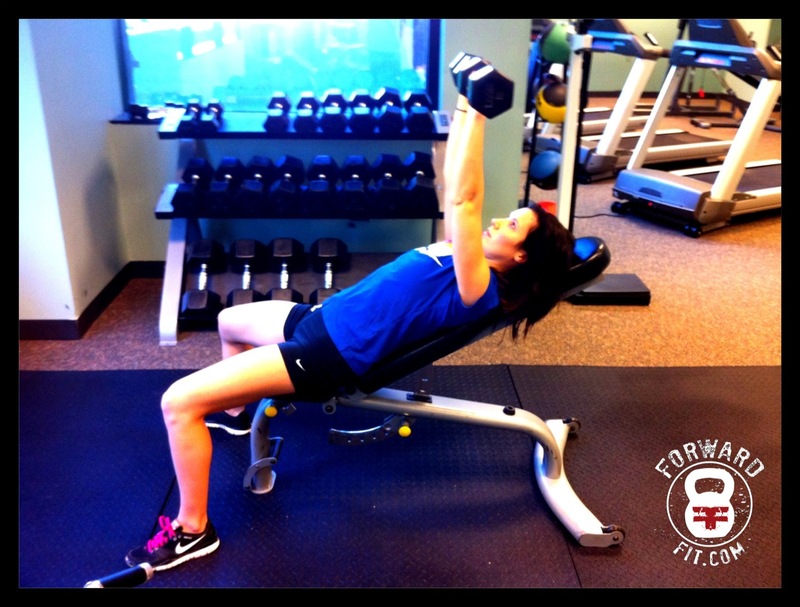 Add weight for advanced exercisers. 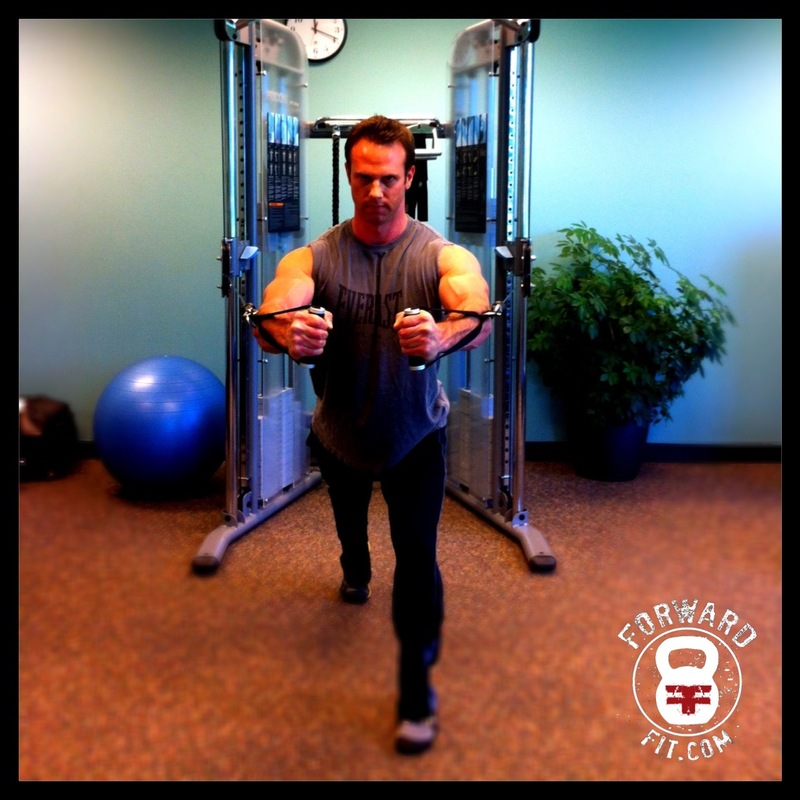 Grab the handles with each hand and stand in a staggered stance. 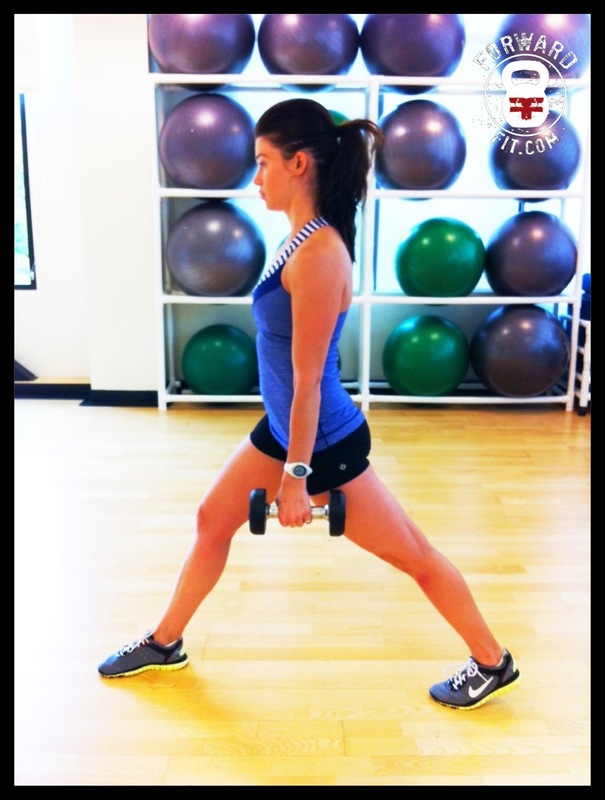 Start with the arms stretched with a slight bend in the elbow. 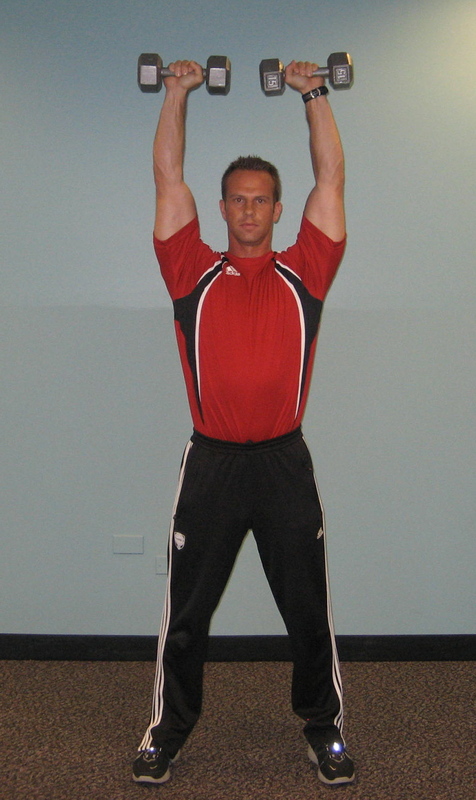 Without changing the angle of your elbow bring your hands together palms facing each other. Start in a standing position with the dumbbells at shoulder height. 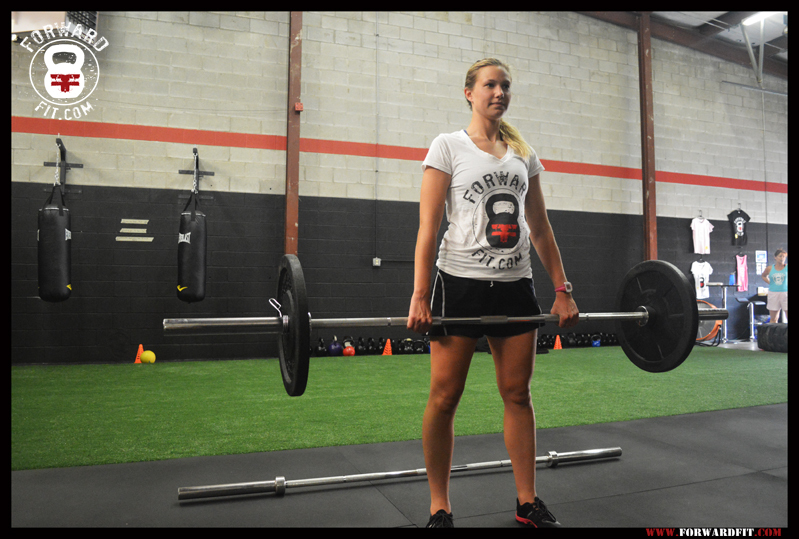 Perform a low squat and explosively stand up raising the dumbbells overhead. 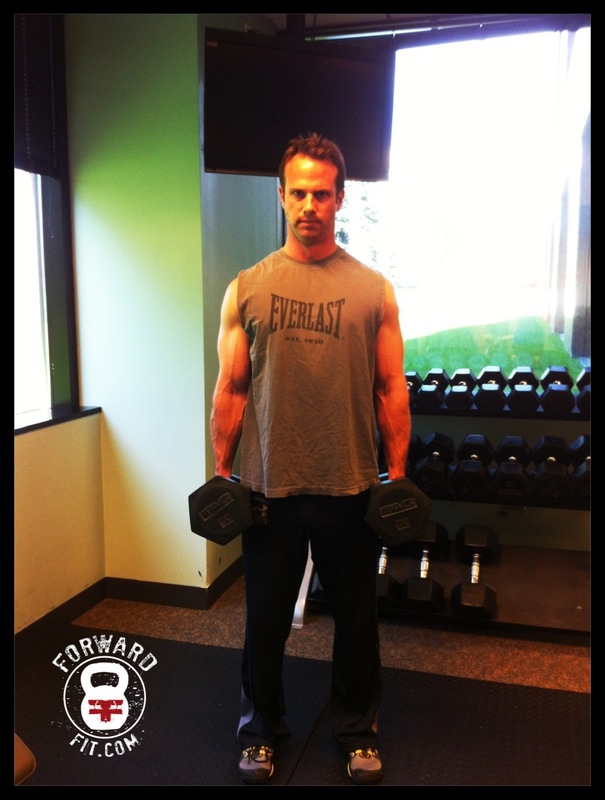 Bring the dumbbells back to shoulder height and repeat. 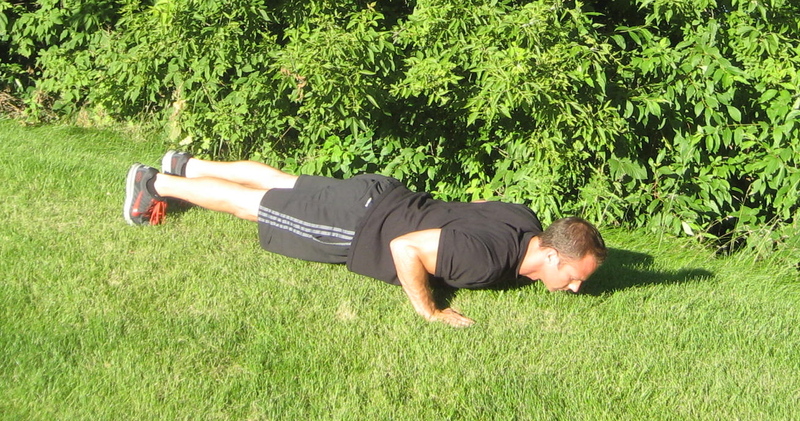 Start by lying on your back with your legs straight and arms above your head. 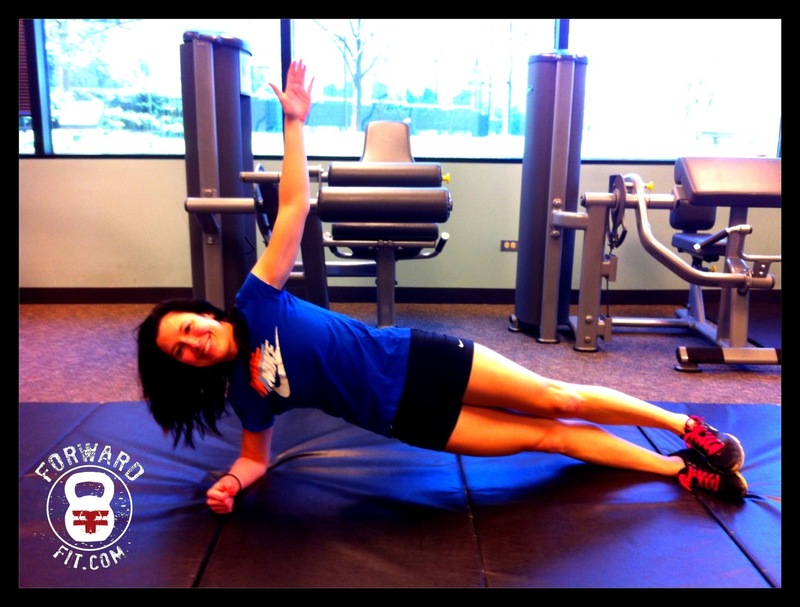 Contract your abdominals by meeting your arms and legs in the middle of your body. 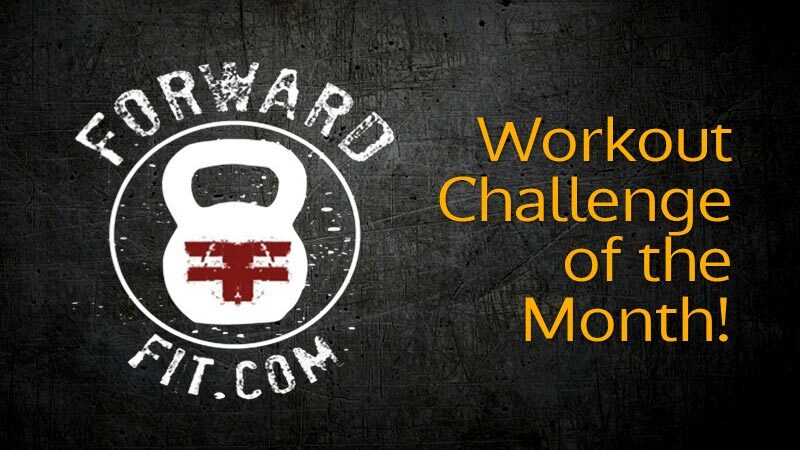 Click the link below to view the current Workout Challenge of the Month. Challenge yourself today!